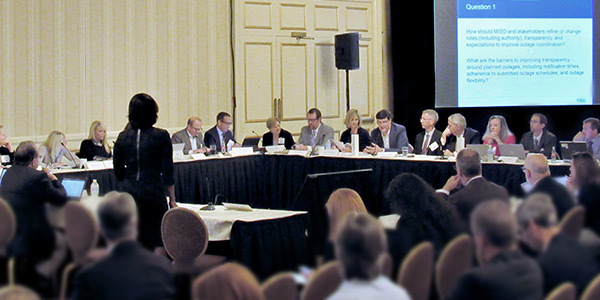 ST. PAUL, Minn. — MISO’s Advisory Committee appeared split last week over whether the RTO should assume greater authority in granting planned outages, with many members offering alternative and complementary ideas to increased outage control. Following a tradition established three years ago, the Sept. 19 Advisory Committee “hot topic” discussion began with a theme song. “I couldn’t find a song with ‘maximum generation alert,’” MISO Director of Resource Adequacy Coordination Laura Rauch said to laughter. She eventually settled on Stealers Wheel’s “Stuck in the Middle with You” to capture the situation. “We have a generally aging generation fleet, and that’s increasing outages and worsening coordination of those outages,” Rauch said. Discussion moderator Julia Johnson, president of regulatory advising firm Net Communications, took a more optimistic approach, playing “The Power” by Snap! “We’ve got to figure out who is ‘the lyrical Jesse James,’” Johnson said, urging stakeholders to offer their best ideas to minimize outage impacts. Some Advisory Committee members said the situation has become such that MISO members cannot effectively coordinate outages to avoid emergency conditions. But Minnesota Public Utilities Commissioner Matt Schuerger said the Organization of MISO States does not support giving MISO expanded authority in approving outages, with the group saying that the RTO should “articulate a compelling need before any new authority is considered.” OMS maintains that MISO already is allowed to analyze generator outage requests and recommend outage scheduling changes as needed. “The writing is on the wall. … Either we do something, or they do something,” he said. Several stakeholders said MISO should act to better coordinate outages before winter arrives, saying solutions from its comprehensive Resource Availability and Need project will arrive too late to avoid another outage-related emergency. Clean Grid Alliance Executive Director Beth Soholt, of the Environmental sector, said MISO should study the cost of outages on the system. Robert Mork, of the Indiana Office of Utility Consumer Counselor, reminded executives of a mission statement that includes cost consciousness. Murray said MISO might consider obtaining dispatch control of smart thermostats and electric vehicle charging stations to lower load when needed. “I would encourage people not to think about this one-dimensionally,” he said. North Dakota Public Service Commissioner Julie Fedorchak suggested MISO begin collecting aggregate load and generation availability estimates from utilities for both the month and week ahead. Wisconsin Public Service’s Chris Plante, of the Transmission-Dependent Utilities sector, pointed out that in some weeks, MISO’s maintenance margin is a negative number, indicating that generation operators have already taken too many outages. The RTO’s maintenance margin shows the amount of generation that can be taken out of service for a given time period without risking resource adequacy. 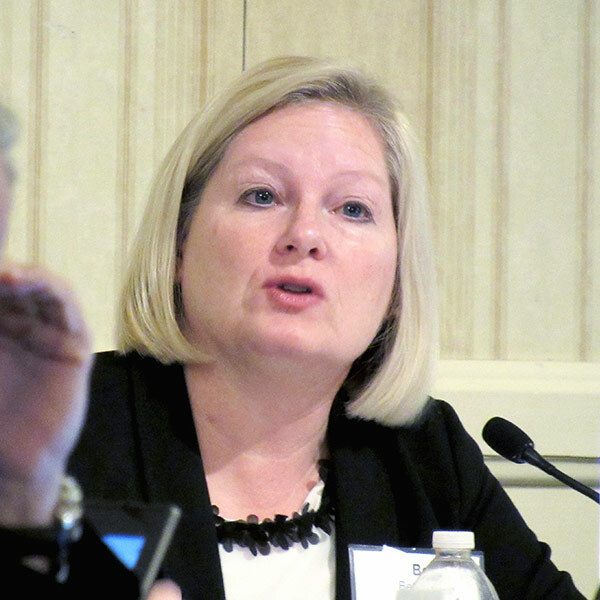 Representing the TDU sector, Madison Gas and Electric’s Megan Wisersky said it also believes MISO shouldn’t be handed control over outage scheduling. Murray said MISO’s new capacity advisory warning is a good step to help mitigate the effects of outages because units, if ready, will want to re-enter the market to scoop up the better prices available in a capacity shortage. Multiple stakeholders said they would like MISO to attach economic signals to outage timing. Murray said the RTO could add to its markets an additional economic demand response product, which identifies a price to incent some load to get off the system. He also encouraged discussing an economic consequence if generation resources are unavailable during peak times. He brought up PJM’s Capacity Performance rules, though he said he wasn’t advocating use of a similar penalty in MISO. Plante said MISO should revisit its proposal to create a seasonal capacity market to get a better idea of resource availability. He said MISO’s current capacity accreditation based on the summertime peak might not be the best route for resources such as wind facilities, which have their most productive months outside of summer. 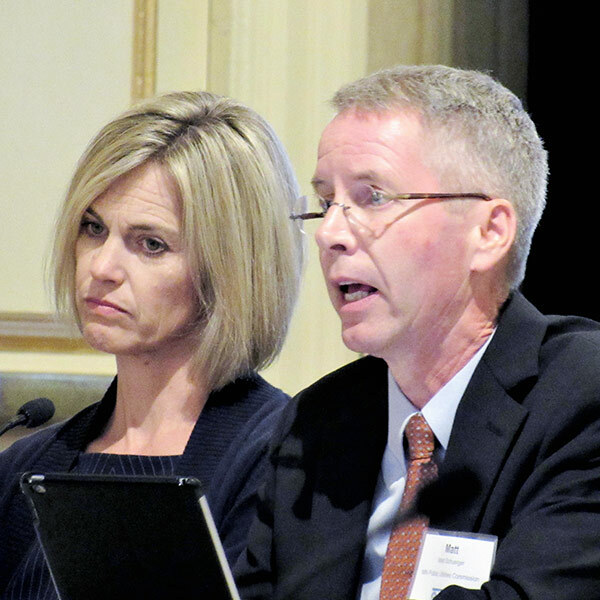 Michael Curran, chair of the MISO Board of Directors, urged the RTO and stakeholders to “get everything on the table,” suggesting that the solution to poor outage coordination will be multifaceted, with more entities assuming more outage authority. After seven years as MISO Planning Advisory Committee chairman, "PAC MAN" Bob McKee has announced he will not seek re-election.